When you need plumbers to provide urgent assistance, trust the staff at Rodger’s Plumbing. Regardless if a problem is related to sewer repair, faucet repair, or some other associated issue that is disrupting your life, our plumbing specialists are here to help. Customer service is our number one priority! We serve numerous areas in the Dallas Metroplex, including Frisco, Hebron, Mckinney, North Irving, North Mesquite, Rowlett, Murphy, Wylie, Sachse, Garland, Allen, North Dallas, Richardson, Plano, Carrollton, Addison, Farmers Branch, Coppell, Highland Park, University Park, and more. Give us a call today to benefit from working with a company that is proud to be a locally owned & operated business in the City of Dallas. We have earned a solid reputation as a reliable and convenient resource for plumbing solutions. You can depend on us to correctly diagnose the issue and use easy-to-understand language when explaining how we will fix it. Also, because we can tell you the price for a service before getting started, there will be no surprises. Our expertise in dealing with everything from problematic water heaters to garbage disposals to toilet repair needs, allows us to effectively communicate with customers while using our knowledge to get jobs done right. 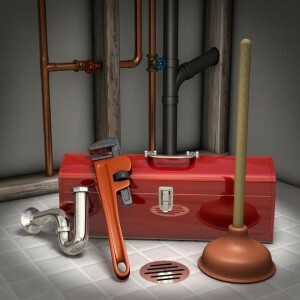 Looking for a reliable plumber in the Dallas area? Look no further than Rodger’s Plumbing! We provide a wide range of plumbing repair and installation services throughout Dallas Texas including towns such as: University Park, Highland Park, Coppell, Farmers Branch, Addison, Carrollton, Plano, Richardson, North Dallas, Allen, Garland, Sachse, Wylie, Murphy, Rowlett, North Mesquite, North Irving, Mckinney, Hebron, and Frisco.